Williamsville, N.Y.-based Allcare Dental & Dentures allegedly used high-pressure sales tactics to get consumers to buy expensive treatments, only to shut down its offices nationwide in January and not provide those services, according to a lawsuit filed last week by the Pennsylvania Attorney General's Health Care Section. Allcare Dental abruptly closed its office at the beginning of the year, forcing thousands of people in 13 states to scramble for dental coverage. At the time, the company had said it ran out of money. In a statement posted on its site on March 12, Allcare said it had transferred dental records and work to other dental practices in the states where it had offices. The company told consumers to check with the offices it listed. Acting Pennsylvania Attorney General Bill Ryan said his state's civil lawsuit was filed against Allcare Dental & Dentures and affiliated companies because the firm had broken the state's consumer protection and credit laws. The lawsuit also named Allcare President Robert S. Bates and CEO David T. Pennington, both of Clarence, N.Y., and Stephen A. Reny, CEO of Allcare Dental Management LLC. "The sudden closure of Allcare offices across Pennsylvania and throughout the country in January has triggered a flood of complaints from hundreds of consumers who prepaid for dental services that were not delivered or were not given the proper disclosures about financing, discounts and other offers," Ryan said in a statement. "In addition, Allcare allegedly failed to safeguard or escrow the money it received in consumer prepayments, as required by Pennsylvania's Credit Services Act and a previous settlement between the company and the Attorney General's Office." 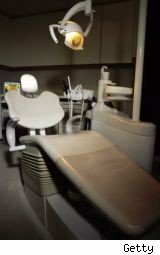 Pennsylvania has received more than 800 complaints from consumers, many of whom pre-paid $1,000 to $7,000 to Allcare for dental and denture services. The lawsuit seeks consumer restitution and fines of $1,000 to $5,000 per violation. Former Allcare patients who have not yet filed complaints can call (877) 888-4877. Non-Pennsylvania consumers should contact their attorney general's office or file an online complaint.